The celebrations for Aurora�s centenary have started with the presentation of the �Cento Italia� line. 10 iconic Aurora pens, remembering the past 10 decades have been reinvented and realized with only 100 numbered pieces for each type, both for Italy and the foreign markets. 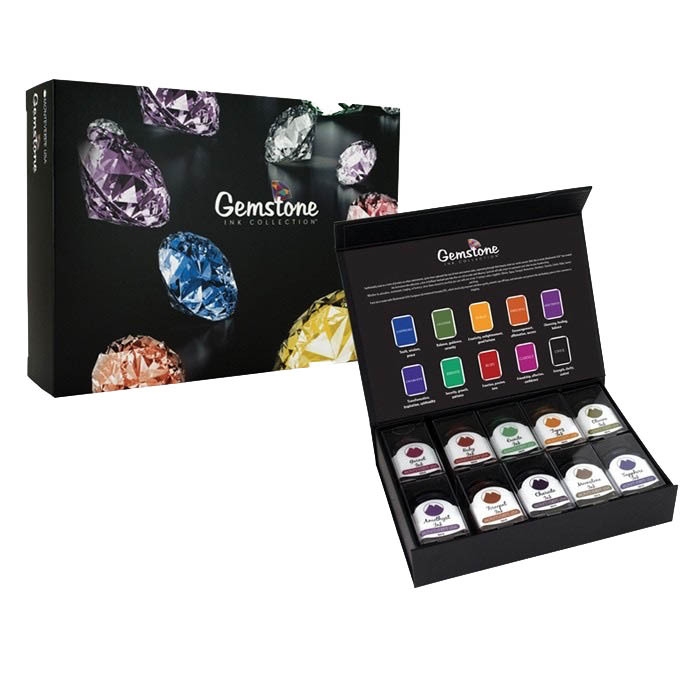 The pens of the �Cento Italia� line will be launched every month. Aurora�s foundation year: 1919. The first pen is an Aurora Edo fountain pen realized in black resin, with chromed finishing and a 14Kt rhodium-plated nib, embellished with an exclusive pure red bottom. �Every moment of our story has allowed us to grow, so every decade of these first 100 years will have our authentic tribute. inspired by the splendor of the Planets. The pursuit of beauty now passes from Saturn. The 888 fountain pen is hand-crafted in marbled blue Auroloide. Gold plated trim, 18kt solid gold nib, Piston Fill. 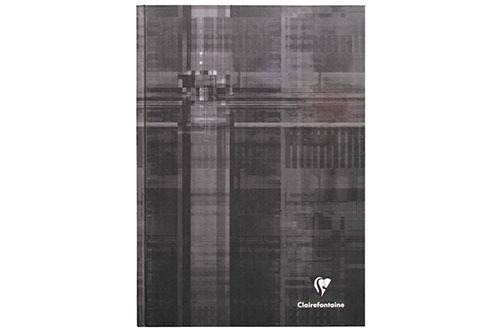 Limited edition of only 888 numbered pieces. A specialty Italic, Stub or Double Broad nib is available at an additional $100 charge. The Aurora Optima 365 Coral Red is a limited-edition collection created to celebrate those special days that we wish to treasure for the rest of our lives. Limited to only 365 pieces, one for each day of the year, the Aurora Optima 365 Coral Red is as significant and special as the occasion you're celebrating. The Optima 365 is made from exquisite Auroloide . The inky black section and flat ends provide a strong contrast to the eye-catching Auroloide while the gold trim complements the overall design perfectly. Proudly displaying the Aurora name is the wide cap band with finely engraved details of the Greek Key pattern. 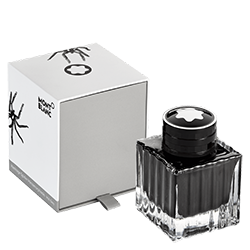 At the top of the cap, opposite the clip, is engraved the limited-edition number out of 365. The Optima 365 Coral Red is enhanced with an 18kt gold nib available in M, F, XF and B (or Italic, Stub or Double Broad nib at an additional $100 charge) and features a crystal-clear ink window and Aurora's unique piston filling mechanism that offers smooth, reliable operation with a built-in ink reserve system. Rediscover the origins to write the future with the Aurora Internazionale limited edition fountain pen. 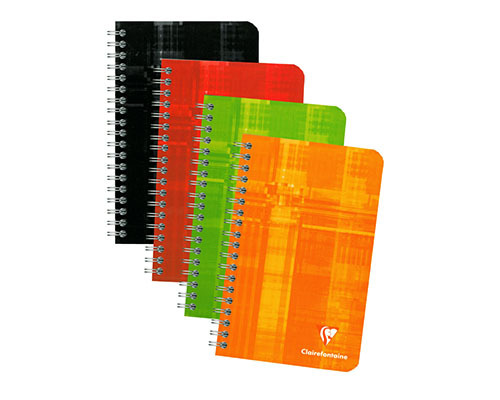 There are products that have written the history of Aurora, unique pieces that mark unerasable memories. This legacy passed down through years of passion and unchanged care of detail, it should be reinterpreted in a different key and shared again for all lovers of writing instruments and Aurora collectors. The Aurora Internazionale is a new opportunity of reliving the past to write the future. It features vintage design elements combined with modern materials. The newly styled nib is made in 18kt yellow gold, paired with an ebonite feed and available in M, F, XF and B widths (also BB and Italic widths at an additional charge of $90). The cap is adorned with hand-worked and polished vermeil rings by Aurora�s craftsmen with a gold-plated clip that shows off the elegant, vintage-inspired floral engravings. The cap and barrel are made from a new marbled blue Auroloide not previously used in any other pen. 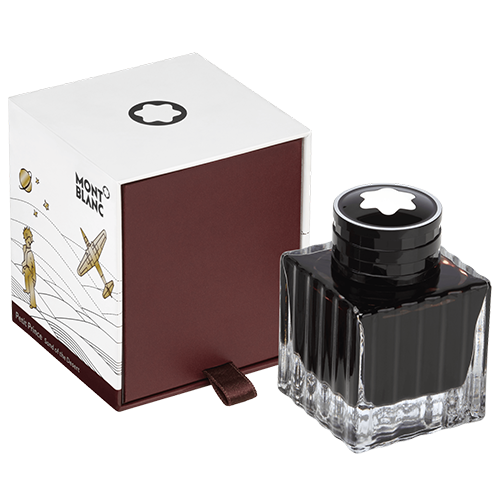 The Aurora Internazionale fountain pen is piston-filled, limited to 919 pieces and presented in a black wooden box with a vintage-inspired sleeve design and contains a bottle of ink. The golden era of fountain pens offered the world an innovative selection of writing instruments. Pen manufacturers held the key to allowing users to efficiently express themselves. Established in 1898 out of Toledo, Ohio, the Conklin Pen Company is regarded as one of the most important pen manufacturers that emerged from that time period. Founder Roy Conklin is responsible for crafting the Crescent Filler, a self-filling pen that changed the industry forever, and gained praise from legendary author Mark Twain. 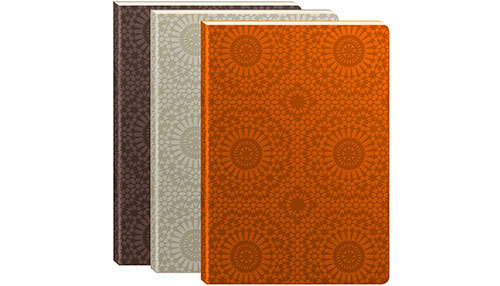 The Conklin 120th Anniversary Limited Edition collection celebrates twelve decades of supreme craftsmanship and splendid designs. 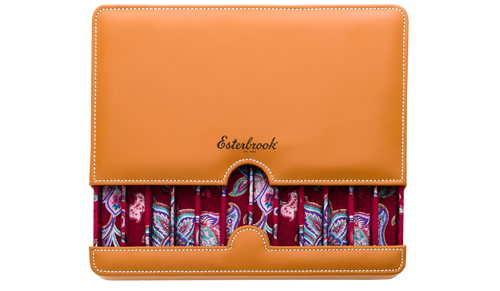 Each vibrant pen boasts a unique iron finish and a curved pressure bar that operates the filling system. 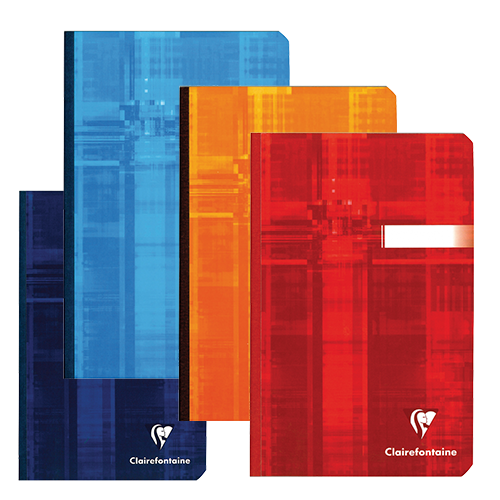 This collection is offered in transparent shades of red, blue, and orange, with only 120 of each color available. The pen�s classic black Omniflex nib allows users to perfect their writing with a tool that effortlessly adjusts to each stroke. Renowned for its timeless charm, the Conklin brand is a must-have for all serious pen enthusiasts. SAMURAI - 2019 PEN OF THE YEAR. The Pen of the Year 2019 is inspired by the Japanese Samurai and their matchless martial arts skills, their swords made from the most precious materials and their silently gliding movements, the aesthetics of which are so similar to the writing process. Each of these unique numbered pens represents the inner disposition of the Samurai to strive for strength, clarity and perfection. 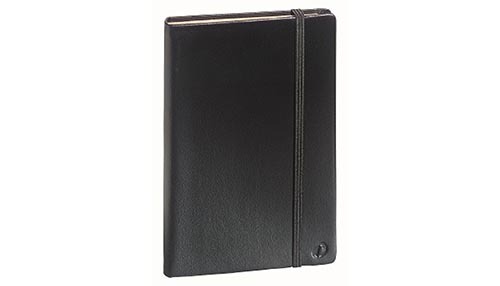 The exclusive pens come in a high-gloss, black wooden case. 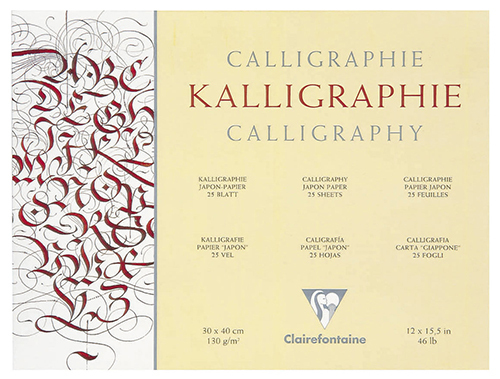 A certificate, signed by Count Charles von Faber-Castell attests to the authenticity of the limited edition. Hadrian was one of history�s most powerful and respected rulers. As one of the �five good emperors� he reigned during an epoch viewed by chroniclers as the happiest of the ancient period. Starting in 117 A.D., Hadrian ruled for 21 years over an empire spanning three continents. Hadrian ended his predecessors� expansion politics, stabilized the provinces and became a great emperor of peace and prosperity. His legacy was immense, since Hadrian invested in infrastructure and the arts in all parts of his enormous realm. It wasn�t only Rome and Athens that had him to thank for new buildings and comprehensive restorations, but many other cities of his empire as well. 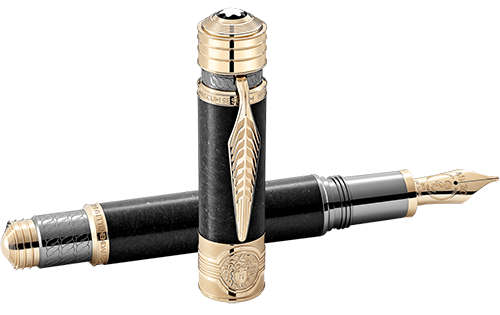 - The special engraving on nib is inspired by the phoenix: which is based on a story between Hadrian and his predecessor Trajan; Hadrian wants to create something different from his adopted father and be remembered. The fountain pen nib is 18kt gold available in Medium and Fine widths. - The quotes engraved on cap and cone ring are from the books Historia Augusta (Augustan History) stating that Hadrian is a great emperor. Homer is believed to have lived between the 8th century and 10th century and is perhaps the greatest of all epic poets of Ancient Greece. Best known as the author of the Iliad and the Odyssey, his works are considered to be the foundations of Western literature and poetry. 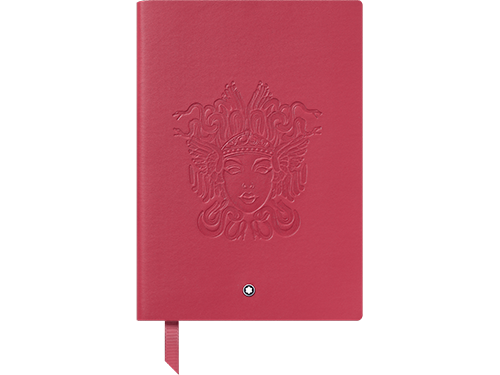 This Writers Edition takes its main inspiration from the story of the Trojan horse and wrath of Achilles, related in the Iliad. 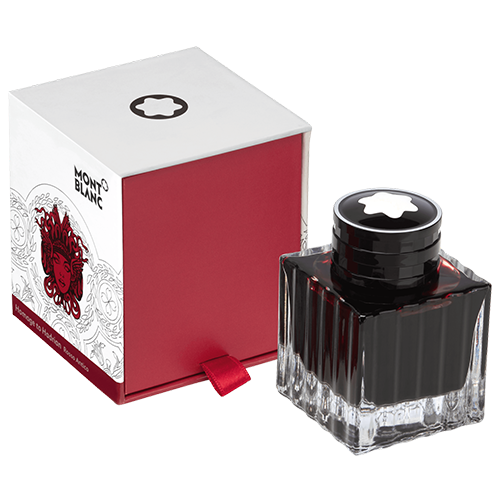 The fountain pen size is comparable to the mythical �149�.The overall design is inspired by the Trojan horse, with the back and clip reflecting the spear of Achilles. The engraving on the cone and rings borrows motifs from traditional Greek black-figured pottery, with the overall color of the writing instrument taking inspiration from this same black Greek pottery. The 18kt solid gold nib, with special engraving, is available in M or F widths. The piston-filled fountain pen is limited to 9,800 pieces; the ballpoint pen to 10,300; the capless rollerball is limited to 8,600 pieces and the set with the fountain pen, ballpoint pen and mechanical pencil, 0.7mm, is limited to 800 sets. 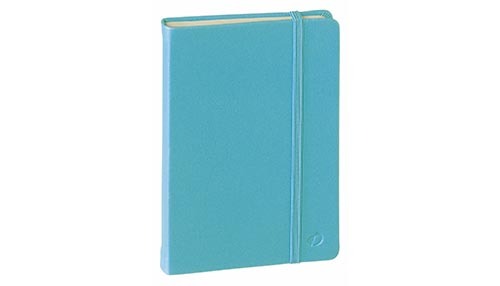 Pen Type: Lined Notebook-192 pages- 6x8.2 in. 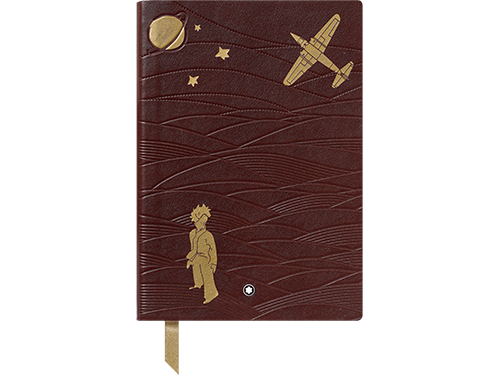 REACHES FOR THE MOON LIMITED EDITION. 2019 marks the 50th anniversary of NASA landing on the Moon. It represents one of mankind�s greatest achievements, defining the USA as the victor in the space race with an accomplishment to rank with Christopher Columbus discovering the New World. 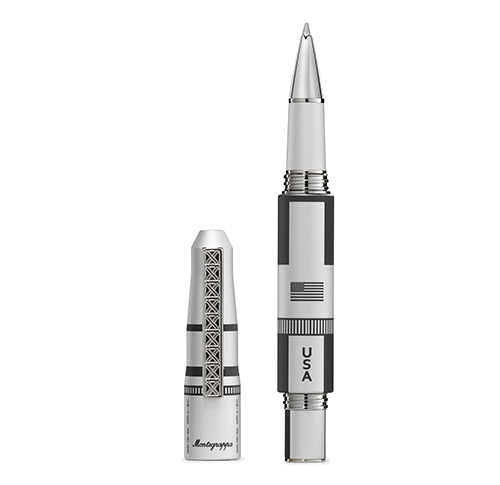 Inspired by the Apollo 11 mission that delivered astronauts to the lunar surface, in a licensed collaboration with NASA, Montegrappa has reproduced the iconic Saturn V rocket, interpreted as a writing instrument. 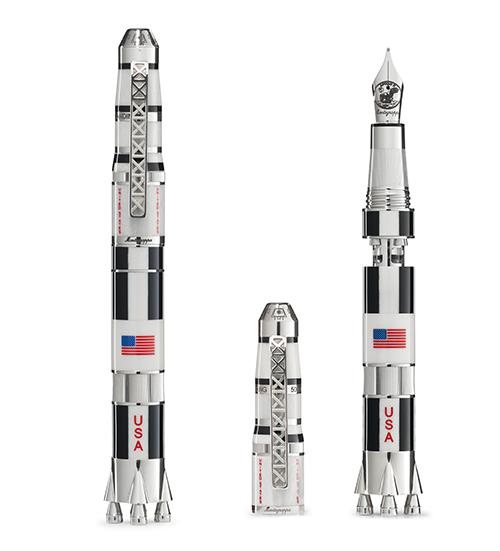 The Moon Landing Collection, made in white pearlized resin with sterling silver trim, adorned with enamel to reproduce a three-dimensional trompe l�oeil effect of the First, Second and Third stages of the rocket body. Around the First Stage are the legend USA, the American national flag, laser-cut and enamel-filled in exquisite detail. The pen cap is structured to represent the Second Stage and the Apollo command module, with the silver lost-wax signature clip, cast in the form of the stairway structure supporting the rocket. 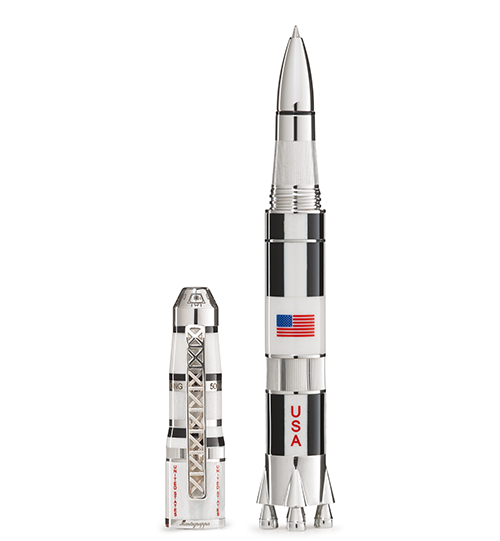 Completing the realization of a Saturn V in miniature, the blind (end) cap is reproduced with the exhaust nozzles of the engines of the space-craft, detailed with red enamel. The fountain pen is piston-fed, and its nib is crafted in 18kt gold. By turning the bottom part of the pen barrel sideways, the Saturn V pen opens up its mid-section, to reveal its inner filling mechanism, augmented by a lunette-aperture showing the ink inside. 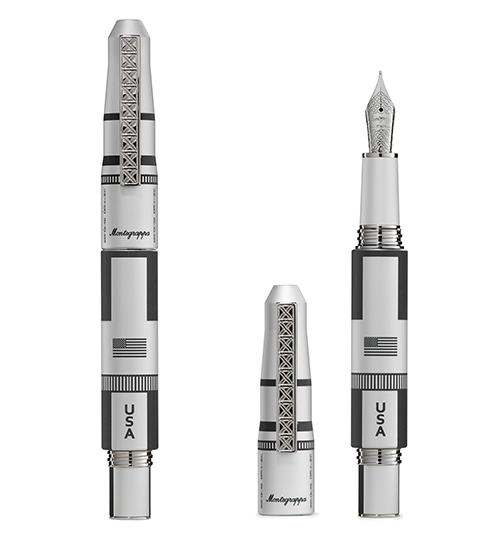 Montegrappa has issued 363 numbered fountain pens in resin and Sterling Silver, the number denoting Saturn V�s height in feet when standing vertically. 110 numbered rollerball pens are offered in resin and Sterling Silver, as the equivalent of 363 feet is 110 meters. Montegrappa� s Leonardo da Vinci collection consists of fountain and rollerball pens, each type limited to 500 unique, numbered writing instruments. The Leonardo da Vinci writing instruments are made in beautifully contrasting materials, binding nature with technology: fine, aged olive wood for the barrel and satin stainless steel with brass details for the pen cap and trim. The cap top is molded in the shape of a peg of the era in which Leonardo lived, representative as a principle element of construction and mechanics. The cap body and signature clip are made of stainless steel fashioned in fretworks according to da Vinci�s major geometric theories and concepts. The cap�s inner core is crafted in brass, the metal of choice for engineers during the time of da Vinci. 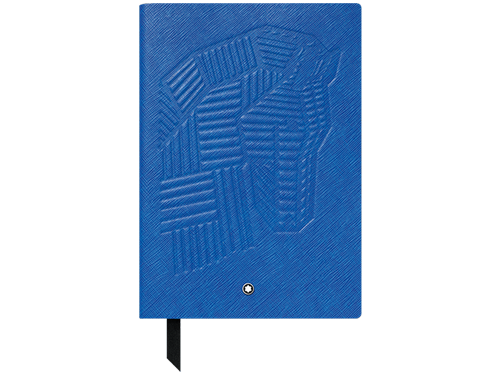 Its intricate low-relief engravings represent some of his recurrent technical drawings. The pens� grip section in stainless steel is decorated with laser etchings of Leonardo�s stereometric half-moons, the so-called transformations of the lunules. The fountain pen is piston-fed and its nib is made in 18k gold, available in M, F, XF, B and Stub. Further to convey an appreciation of Leonardo�s impact, the collection�s packaging is interactive. It houses a dissembled scale model of da Vinci�s fighting vehicle for the pen�s owner to construct. Mia Carissima is fashioned from shiny Malachite Green resin with black accents and Sterling Silver trim. It is a reinterpretation of an historic Elmo pen that was available a century ago and originally produced entirely in ebonite. The new pen possesses a voluptuous form that presents a �simple� silhouette, a shape that fits perfectly in the hand. Recalling the design languages of a century ago, the signature clip reflects and is strongly influenced by past fashion. Slightly fan-shaped, it features a design with linear etching that epitomises the earliest awakenings of what would become Art Deco. Mia Carissima�s nib is made in 18k gold, adorned with filigree decoration, and is available in the writing grades of Extra Fine, Fine, Medium, , Broad, and Stub 1.1. Every special edition produced by Montegrappa is dear to the company, but few evoke so strongly the company�s formative years. 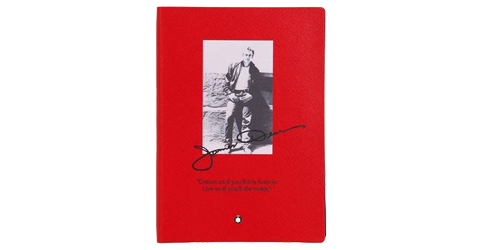 Mia Carissima embodies the era of Hemingway and Dos Passos, the war that engulfed Europe and � most poignantly � the many thousands, or even millions of letters that allowed soldiers to communicate with those they left behind. Limited Edition of 462 Fountain Pens Worldwide. Iconic, Modern, Exclusive. The Limited Edition that interprets a historic form in a new guise. 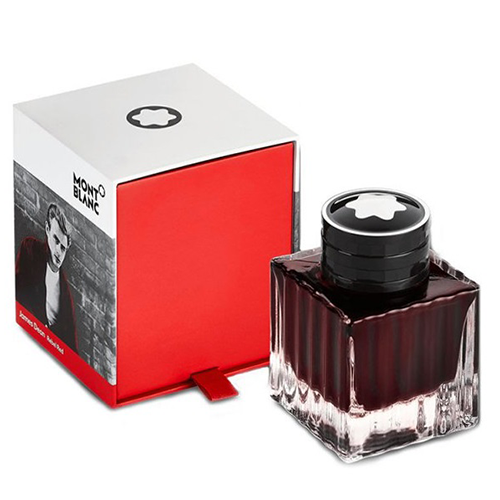 With much love of detail, the �Herzst�ck 1929� pays tribute to the original from the 1920s. The transparent window, the curved Pelikan beak-like clip, the cap with the historic Pelikan logo, and the form and detail of the grip are reminiscent of the revolutionary Pelikan fountain pen. The Highlight of the Commemorative device is the large viewing window that spans the length of the barrel of the pen. 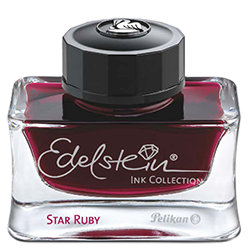 It�s a fascinating design that not only offers a view of the level of ink � as was the case initially with the historic Pelikan fountain pen � but also of the piston itself. 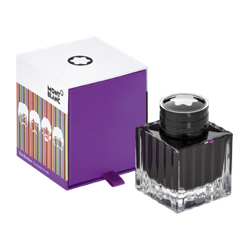 Thus, as the ink is drawn into the pen, it�s possible to see the way the piston mechanism works. The piston is gold-plated and marked with the historic patent number. In 1929, the first Pelikan fountain pen with the revolutionary patented piston mechanism went into series production. 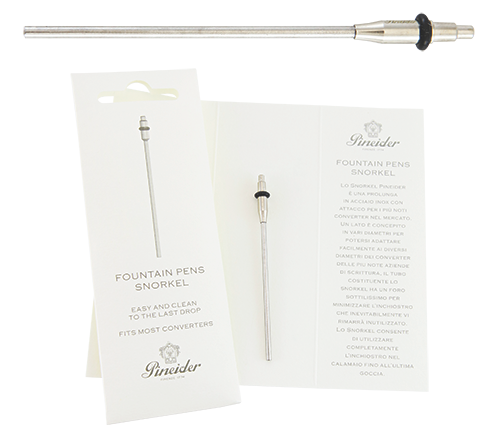 The innovative technology with two differing thread leads inside the fountain pen ensures that the shaft turns faster than the grip of the pen. The writing implement can hold a high volume of ink, can be filled more easily and produces no ink blots, thereby offering significant advantages over other filling mechanisms, both in 1929 and today. Available with a Medium width, 18kt gold nib. Many people are attracted to objects that present complications. The world of watchmaking offers many examples of the success of extremely complicated mechanical watches. 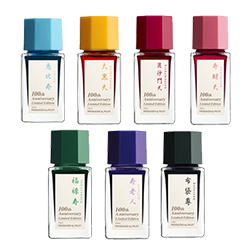 Fountain pens feature a nib and filling system which may be enhanced through intricate means. Ever ready to assume a challenge, Pineider has embellished its piston filler with a complication that allows the blind cap to be hidden into the barrel after having filled the pen; hence, the Mystery Filler. The system is made from seven highly precise parts that allow the user to activate the piston, hiding the button (which extends the mechanism) in a way that cannot interfere with the cap when posted. The result, in a demonstrator format, is exciting with the activation spring and bearing ball going up and down, allowing the entire system to work. Pineider has made two limited edition demonstrator versions, the Black Cap Demo with Rose Gold Trim and the Full Demonstrator with Rhodium Plated Trim. Following the world-wide appreciation for flexible nibs, the new Hyperflex 14kt gold quill nib created by Pineider, has excellent �memory�, created for daily writing and available in M, F, XF, B, and Stub widths. The purpose of the new nib is clear: simply writing pleasure for everybody; from beginners in the art of fountain pen usage to the most advanced fountain pen aficionado. The Pineider Quill Clip has become simultaneously classic, young, technological, futuristic, and always respectful of the principles of �Human Design�. Further, Pineider has patented a new pen locking system in its top-of-the-range models, combining the traditional appeal of the screw top with the immediacy and safety of magnetic closure. The polarization of the magnets permits soft opening and even more satisfying closure, allowing you to open the pen gently or else to watch it roll between your fingers until you hear the closing click. The piston-filled Arco is a treasure to behold. 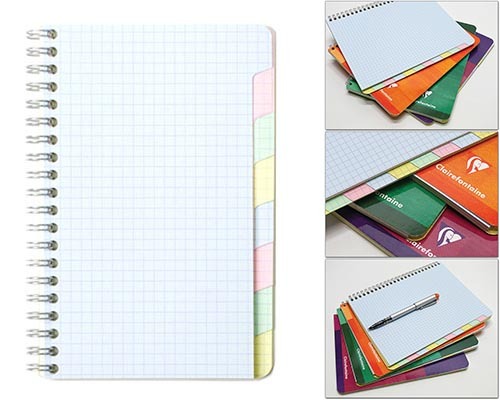 Arco color historically had been a stratification of many layers of materials and, in the past, was crafted from celluloid and visible mostly in tapered pens. Pineider is now able to reproduce the Arco color with several layers of resin and a visual effect closely resembling celluloid. The new resin material is not merely a likeness of a beloved material from a Golden Era of pen production, but is arguably much more durable and without the potential crystallization issues typical of certain celluloid. Following the world-wide appreciation for flexible nibs, the new 14kt gold quill nib created by Pineider, Hyperflex, has excellent �memory�, created for daily writing. The purpose of the new nib is clear: simply writing pleasure for everybody; beginners in the art of fountain pen usage to the most advanced fountain pen aficionado. Much of the civilization of the modern World was written with the Goose Quill, from the Magna Carta to the American Declaration of Independence. The Gigas Codex, the greatest book of the Middle Ages, which required 30 years of flawless work, was called �The Bible of the Devil� because of the hard work needed to complete. 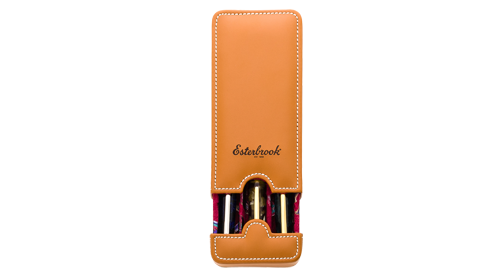 The Goose Quill is Pineider�s distinctive trademark, and is interpreted freely as a function of each pen destined to receive it, fulfilling the fundamental function of holding the pen and allowing it to make a beautiful showing of itself. The Pineider Quill has become simultaneously classic, young, technological, futuristic, and always respectful of the principles of �Human Design�. A bouquet of Quills expresses all the creativity of the Pineider Brand, always fitted with an impeccable mechanism, which will facilitate its use on any type of fabric. Pineider has patented a new pen locking system in its top-of-the-range models, combining the traditional appeal of the screw top with the immediacy and safety of magnetic closure. The polarization of the magnets permits soft opening and even more satisfying closure, allowing you to open the pen gently or else to watch it roll between your fingers until you hear the closing click.